Be renewed in your love for God and your expression of that love to others. What is your view of God? Is he the great law-maker or rule-giver? Is he the one who passes out and guards the "do's and don'ts" of your life? 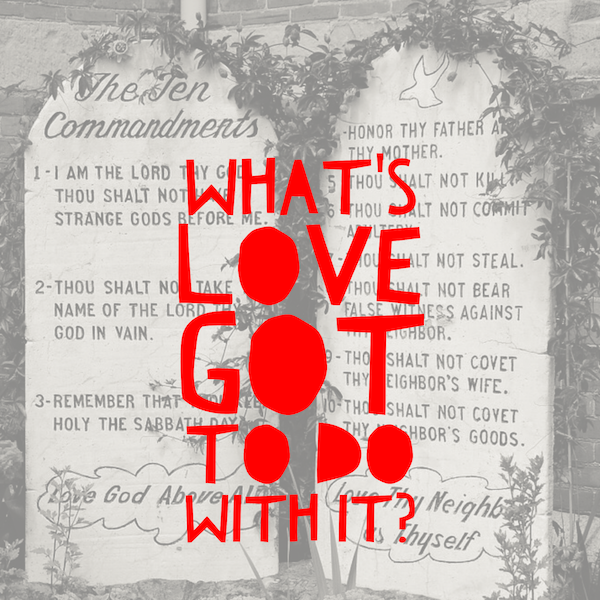 Is your relationship with God built on love or on distant servitude? His heart has always been one of loving us and desiring our love. God has wanted our devoted, wholehearted love from the very beginning. So do you have a love relationship with God? Understanding the Father's love for us and learning to love him back is the foundation for all relationships. If we don't get this first relationship right, all others will suffer. It is in the Father that we find out what true love is. Humans do not have the final word on love. It is God who sets the standard. God is not delighted in slavish obedience. He wants our wholehearted love. Real love for God, though, will result in obedience. Love is the motivation and the goal of our obedience. Would you like a touch of God's love? Would you like to experience some of his unmistakable presence and goodness… just a moment to feel his closeness? What does God the Father desire for you? Your Father desires to dunk you in his love - to baptize you so that you can grasp in your spirit his reality. Father God does not want to give you just a moment of closeness or a fleeting experience of his love. He intends to reveal the width, the length, the height and the depth of his love. That is all-encompassing. This love of the Father goes beyond human reasoning (Eph. 3:19). So how do we access it? God said that he wanted us to experience his love "together with all the saints." A primary way that he reveals his all-encompassing love is through community. If you pull away from the church, a community of committed Christians, it will be very hard for you to experience this outrageous love. Independence always leads to isolation. You can also cry out to the Father to experience his abounding love. He has promised to do more than we could ever ask or imagine (Eph. 3:20). So take God up on this and call out for him to dunk you, baptize you, surround you in his love. He has promised to come through for you and then some. Get ready! "I want to know what love is…." Many have made this statement. Many have wondered and searched and experimented all in the effort to find love. They look for a feeling, an experience or a relationship to define love. But none of these last. The definition of love comes from somewhere else. It is not a theory or profound idea. No, the definition of love is wrapped up in a person and his ultimate act of sacrifice. God is love. He defines love. We know what love is because the Father revealed it to us in sending his Son, Jesus, to earth. The Father sacrificed by sending his Son. The Son, Jesus, sacrificed by giving up his sinless life on our behalf. Love has to do with sacrifice. It is choosing the highest good of another at the expense of self. This is what Jesus did. He didn't just tell us to love one another. He showed us what love is by dying for us. Jesus continues to show his undying love to you day by day. Thank him for it. Remember that personal sacrifice is the core of love. Love like Jesus. This is real love. Jesus knew the path that was laid before him. After this last supper with his disciples, he would be arrested, tortured, then slowly killed. If there was any time just to be alone and absorbed with self, this would be it. 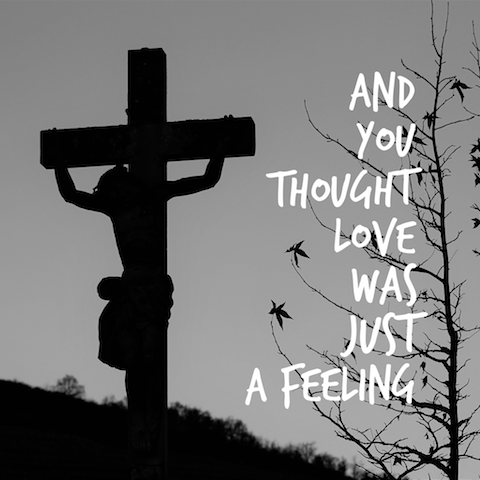 Instead, Jesus reached out in love. And he didn't hold back. 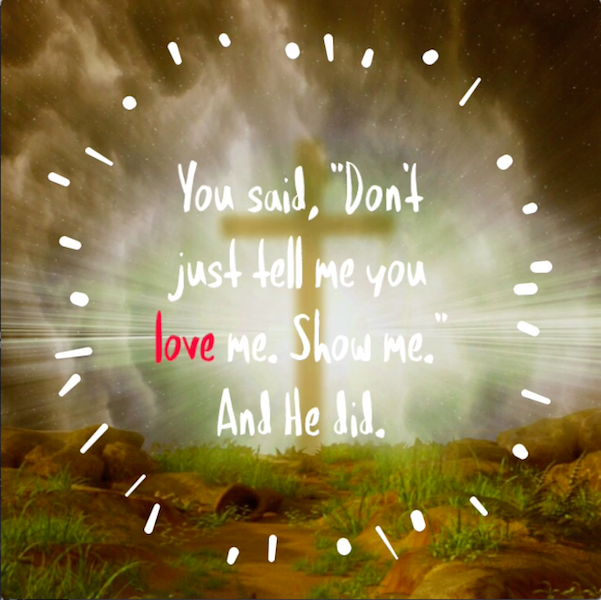 He showed his disciples the full extent of his love. How did he do this? He got his hands dirty. Jesus served them by washing the dirtiest parts of their bodies - their feet. The King takes off his outer garments, wraps a servant's towel around his waist, kneels before his disciples and washes their feet. The love shown by Jesus was practical and service oriented. 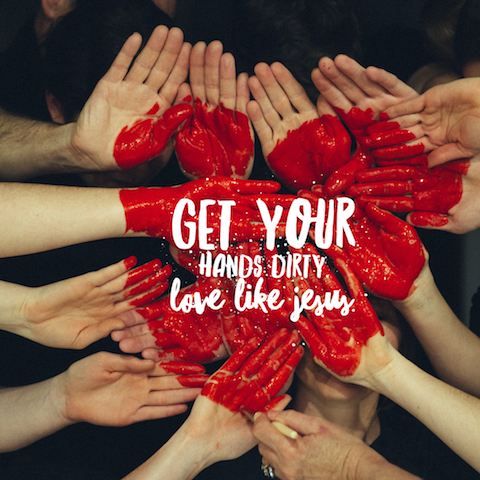 He got dirty, so the disciples could become clean. He didn't just tell his friends that he loved them, he showed them. Jesus set before us the model of real love. It is practical and done at personal expense for the good of another. So, the full extent of love is not simply words or kind intentions. It is serving - entering into the dirt of another - to bring a cleansing and wholeness to their lives. This is done without demand of pay or attention. It is selfless. Love like Jesus. Serve like Jesus. 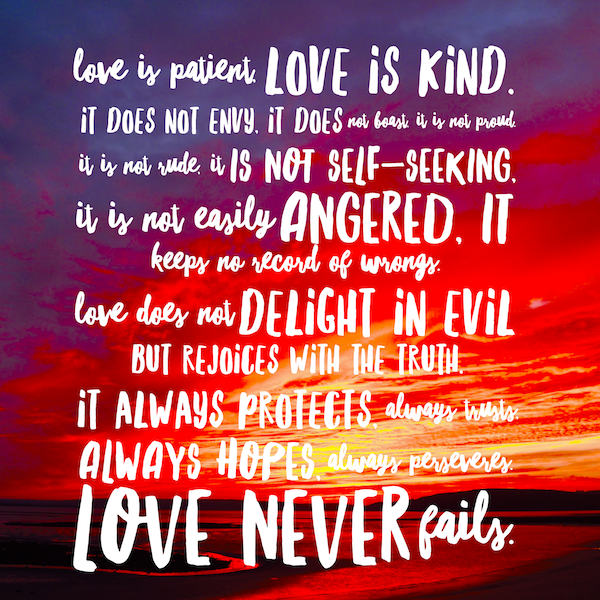 As you look at the definition of love in the Scripture passage above, you might feel deficient in a lot of areas. Do you feel a bit defeated as you scan the list of "love is…"? How is it possible for you to live the life of love that God has called you to? 1 John 4:16 says, "God is love." So he embodies the complete list of "love is…" Actually, God is patient. God is kind. God does not envy. God does not boast…. You need God in you to love like he does. The power to love like God comes from a deep dependence on him, as opposed to a deep determination to act loving. 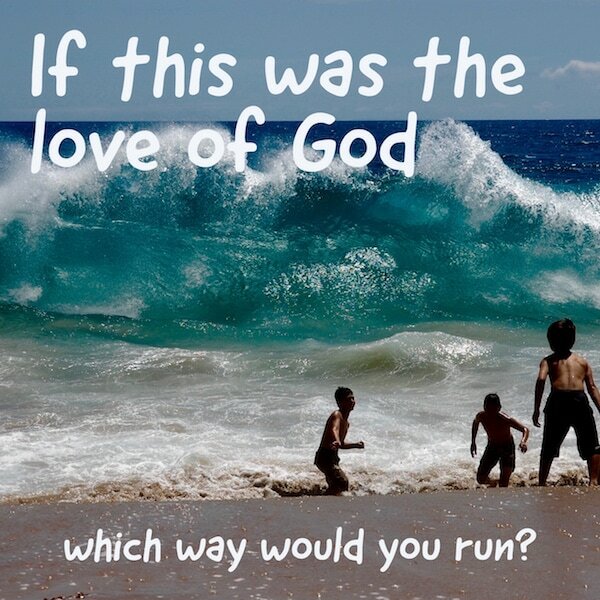 Our first choice to love should be to turn to the Father for his way of love in your current situation. When you turn, he will answer. Otherwise, you will be making up ineffective loving actions, or not loving at all. Love comes from God. And it comes to those who have been born of God (1 John 4:7). Invest in your relationship with the Father, and love will flow out of you. It can be easy to pass by the person in need. We see a pitiful scene out of the corner of our eye - someone in need of money, health care or a comforting word. And we move on. When we confront the unloveliness of an individual, we can get repulsed, or at the least uncomfortable. So how do we love the unlovely? First, we should recognize that "while we were still sinners, Christ died for us." (Romans 5:8) In our most unlovely state, Jesus offered the greatest sacrifice for us, his very life. Jesus also tells us in Matthew 25 that our choice to love the poor, homeless, naked, hungry and imprisoned ones is a choice to love Jesus himself. A motivation of pity for the poor will only last so long. But the motivation of loving Jesus in the face of the oppressed people around you will last. In fact, Jesus says that our choice to love the "unlovely" ones around us has eternal implications. When we turn a blind eye to the hurting ones nearby, Jesus will say that he doesn't know us at the final judgement. Ask Jesus to show you where he is in your community. 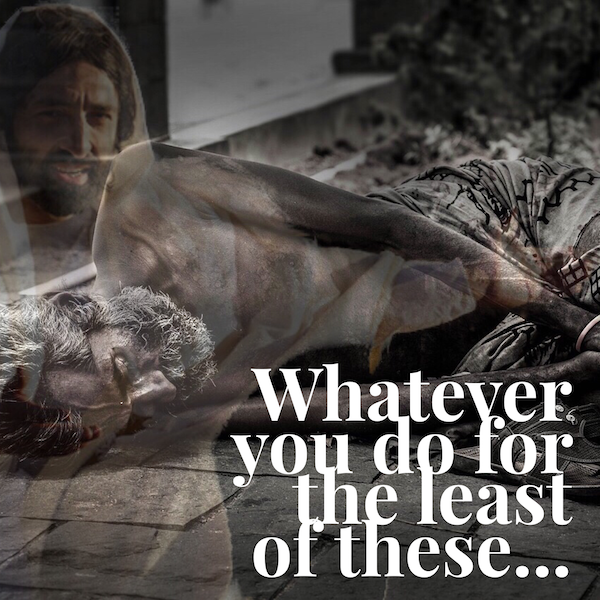 Can you find the face of Jesus in the disadvantaged around you? Will you step in with a practical act of love? Look and listen for Jesus. Go to him and love him. God's love is real. It is practical. It sees a need and meets a need. It's this kind of love that God intends us to give. Loving language will only get you so far if it is not backed up with action. Sooner or later a person will stop believing your loving words if your actions do not demonstrate real love. Jesus came to serve us. He didn't stay hidden from us in heaven. The first step in practical love is simply showing up - being present. It's hard for people to know that we love them if we're not around. Jesus also came to care for our practical needs - physically, mentally, emotionally and spiritually. He spent the majority of his time healing people and setting them free. How can you meet someone's practical need today? This is your obedience step in loving as Jesus loves. Could you pray for someone, give something away, listen to a friend's troubles? Love like Jesus loves.